Pu’uhonua O Honaunau National Historical Park, also known as the City of Refuge, is a sacred site for Hawaiians. Visiting this park will give you a tremendous insight and knowledge about the Hawaiian culture and way of life. I personally felt a connection to Hawaii after my visit here! This article is intended to help you understand the importance of this park and to get the most out of your experience here. 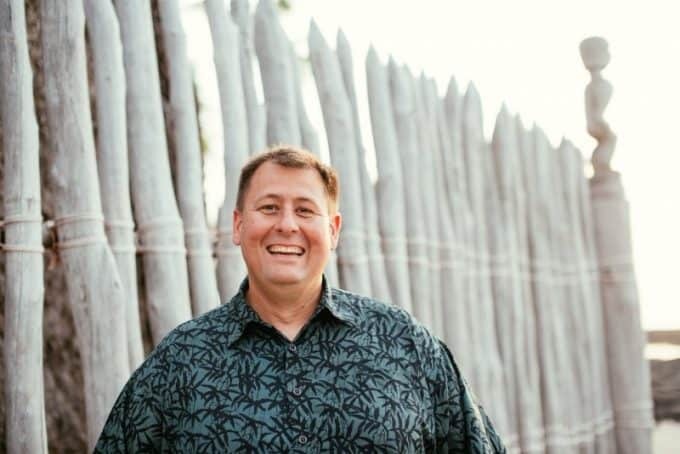 There will be a list of things to do and tips for visiting Pu’uhonua O Honaunau National Historical Park. Let’s start with a few of the common words you will see while visiting the City of Refuge. Heiau: an Ancient Hawaiian Temple and a place of worship. Halau Wa’a: Canoe House, a place where a canoe is stored and provided adequate space for worship activities. 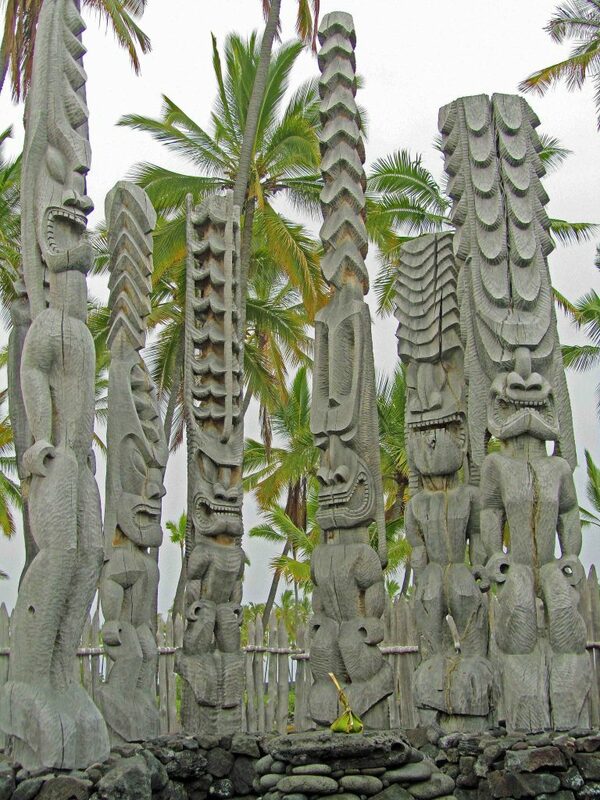 Pu’uhonua: A place of refuge. Ki’i: Wooden carvings that surround Heiau. They represent the many gods. Konane: board game also known as Hawaiian Checkers. 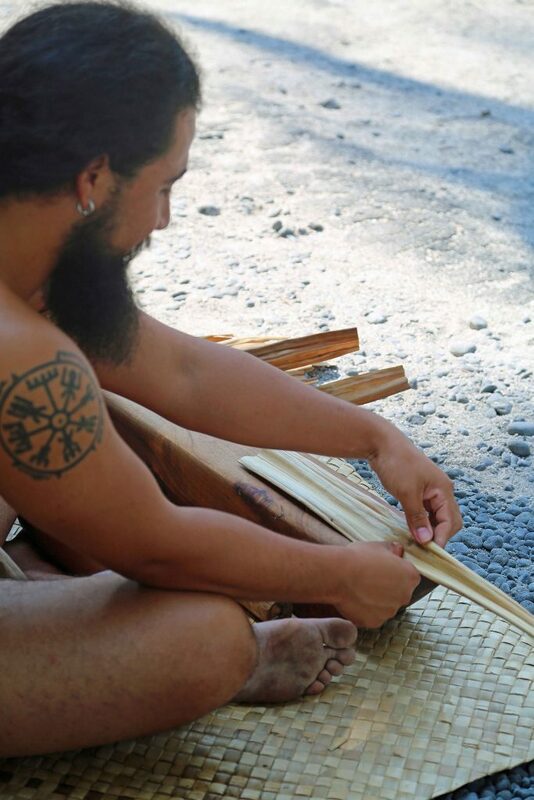 There are several things you can do at Pu’uhonua O Honaunau National Historical Park. Below is a list of things that I have enjoyed and has kept me coming back multiple times! Make sure to get a Jr. Ranger Program book when you arrive. There are three different books, dependant on age, that are designed to help you learn about this park in by doing fun activities. Even adults can do this program, in fact, I encourage adults to do them! My dear wife always gets the Jr. Ranger books and we always learn something new when completing them. Watch demonstrators as they perform traditional Hawaiian crafts. This is a great opportunity to interact with others and learn about the park. There was a basket weaving demonstration on my last visit by the Halau Wa’a and was fantastic! Click here for a calendar of events. This is a spiritual place, one that should be taken with the utmost respect. Sit there an feel the breeze, hear the ocean waves and wonder what it would have been like to finally make it to the Pu’uhonua after fleeing here avoiding death after breaking the Kapu(sacred law). See how many Ki’i you can find or perhaps the Halau Wa’a. 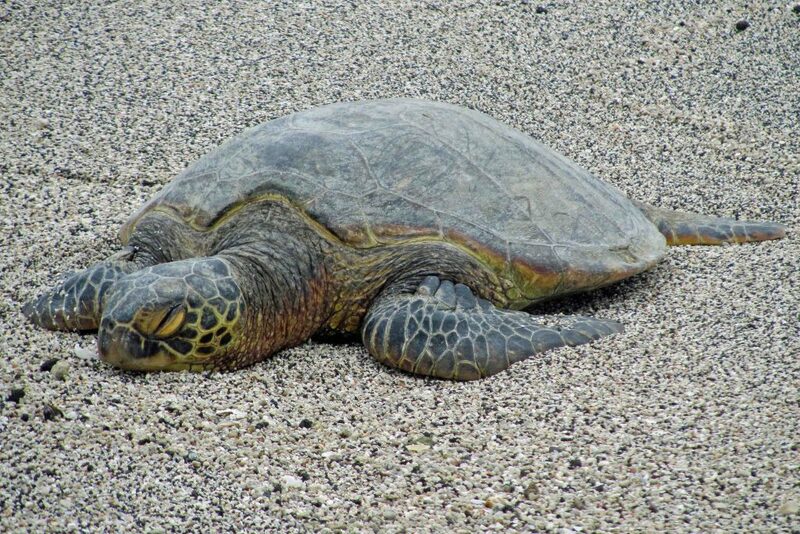 Maybe learn to play Konane (Hawaiian Checkers) or see the Honu resting on the beach. I want to start by emphasizing that snorkeling is not allowed by entering the water at Keone’ele Cove in the Park. This is a sacred place and we are visitors here. There may be fish visible from the shore but it is also the side of the cove getting the waves and is shallow, all of which does not make for the ideal snorkeling spot unless you prefer getting thrown into rocks instead of looking at pretty fish. Take the time to go across the bay and you will have an experience of a lifetime. 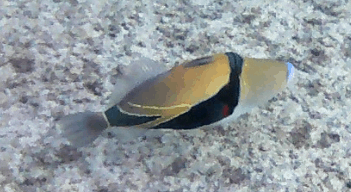 Some of the best snorkeling in Hawaii is an easy walk from the park! So good that you will compare all other snorkeling trips for the rest of your life to this trip and say how they just don’t compare to two-step and Hawaii! Most of the tour boats that take you snorkeling leave out of Kona and take you to two-step and Captain Cook but most tourists don’t realize that two-step can be reached from the parking lot at the City of Refuge. It’s a short walk back out of the parking lot and take the second road (one-way road) to the left. Having said how easy it is to get to two-step, I must caution you that it can be tricky getting in and out of the water and I found out that you have to catch a wave to the rock to easily get yourself back out. You will also be swimming in deep water and you should be a strong swimmer and have experience snorkeling. Also be cautious of urchins in the rock crevasses and will lead to a very unpleasant experience if you get a finger or toe inside one. Park Ranger John Pro Tip: Two-Step and many other great snorkeling spots on the Big Island of Hawaii can be found with great detail in the book “Hawaii the Big Island Revealed: The Ultimate Guidebook“. This is perhaps one of the best guidebooks that I have ever seen and I didn’t know about it until I was already in Hawaii halfway through my vacation. This book is a must for any first-timer to the Islands and will help you prepare for the best vacation possible in Hawaii. 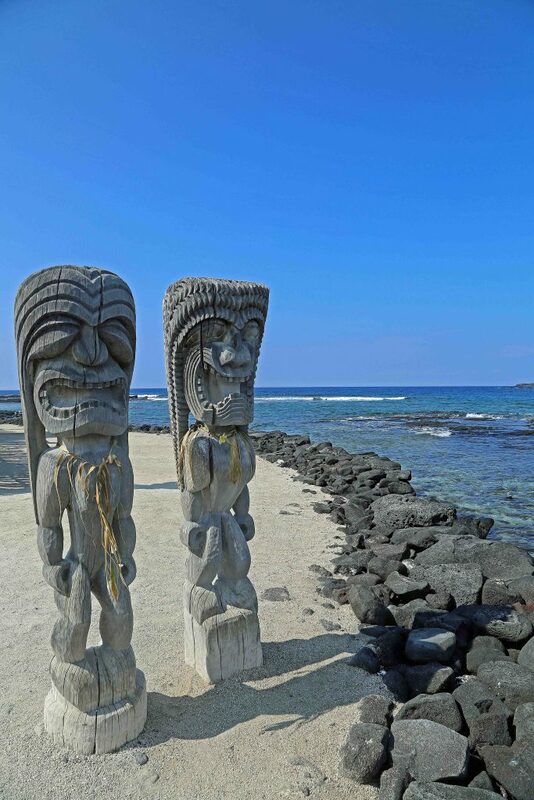 Most visitors simply take a stroll out through the Ou.uhonua and the Royal Grounds. Some make go a bit further and go out to the palm trees and watch the waves come. If you are up for a two-mile hike then take the 1871 trail. This will take you through a Hawaiian Heiau, agricultural areas, Holua sled courses and Keanae’s Cliffs. Please wear adequate shoes and wear sunscreen if you plan to do this hike as the sun is intense here and don’t expect a stroll on the beach here. This is an island made of lava rock. Do you like coffee? Well, you are going to be in luck driving to the City of Refuge as you drive right through the coffee country. You will see several coffee stands along the way and many of these stands have samples to try. 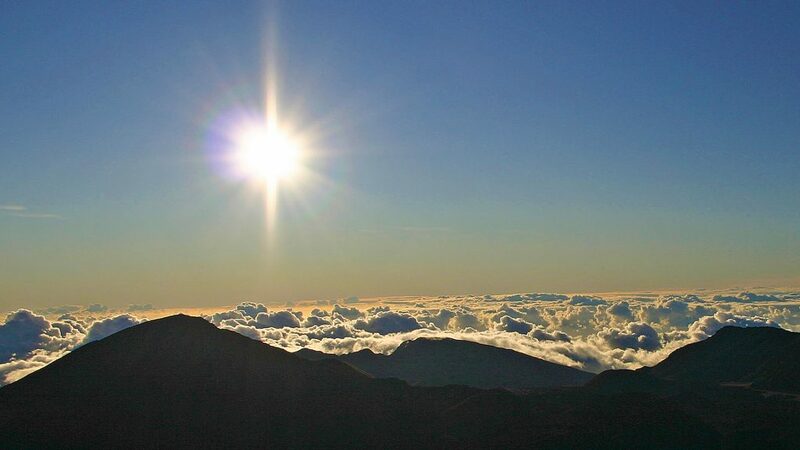 Coffee is king in this area and Hawaiian Coffee is known throughout the world, especially the Peaberry coffee. Don’t pass a sample of Peaberry as it is something to cherish! Its beans are only 5% of all coffee grown and you will easily pay $40+ for a pound. I actually never really wanted to go to Hawaii before meeting Tammilee (the better half). My impression was that it was filled with resorts and people walking around on beaches with suntan oil on and being tourists. I personally wanted more from a vacation but I finally gave in to her wanting to go and her constantly giving me a hard time. I am so happy that she persuaded me into going! The Big Island of Hawaii far surpassed my expectations to the point that I have even looked at houses on the Islands. Tammilee says that she created a monster 🙂 One of the big reasons for this change of mind was our first visit to the City of Refuge. I saw there was so much more to Hawaii and is filled with culture. We now like to get friends and family go with us to the Islands and share these experiences with them, seeing their surprise and excitement exploring Hawaii and why it is one of our favorite places on earth. 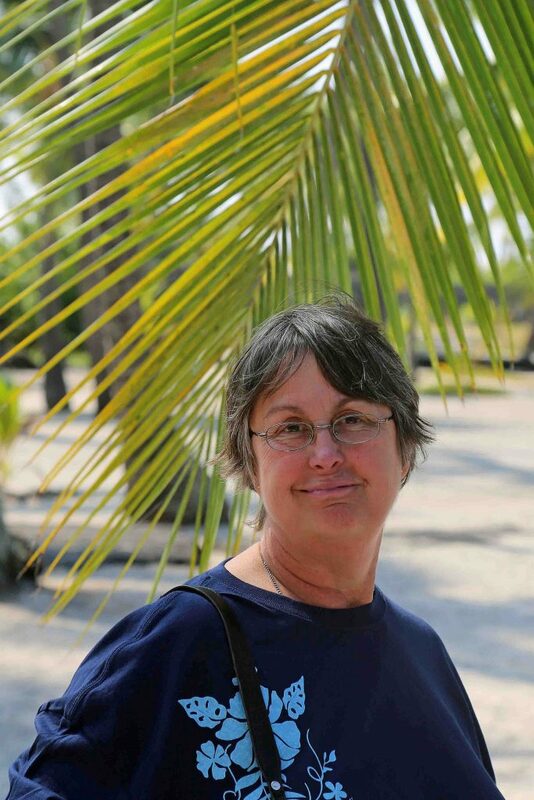 FYI: Palm fonds make a great background for photos so seize the opportunity when walking at the City of Refuge. Park opens at 7:00a and closes 15 minutes after sunset. There is no camping, lodging or restaurants in the park. Pets are not allowed in the Pu’uhonua or Roya Grounds but allowed in the picnic area and on the 1871 & Coastal Trails. Fees are collected at this park. $5.00 for a single vehicle or a valid park pass. Now you should be ready to get out and explore the City of Refuge! It’s time to book that trip and explore America’s National Parks! How much does it cost to visit Pu’uhonua O Honaunau National Historical Park? Admits one single, private, non-commercial vehicle and all of its passengers (up to 8 persons). Organized non-profit groups (service organizations, scouts, church groups, college/school clubs) are not eligible for the $5.00 vehicle permit if utilized. Entrance fees are non-transferable and are valid for 7 days (including the date of purchase). *A private vehicle is defined as any non-commercial vehicle that is being used for private recreational purposes. Admits one individual when entering by foot or bicycle. Individuals 15 years old and younger are admitted free of charge. Entrance fees are non-transferable and are valid for 7 days (including the date of purchase). Allows access for 1 full year from date of first use at Pu’uhonua o Hōnaunau National Historical Park, Hawai’i Volcanoes National Park and Haleakalā National Park. Admits the pass holder and any accompanying passengers in a single, private, non-commercial vehicle. Are you taking a cruise to Hawaii? Check out the National Parks you can visit via Cruise Ship in Hawaii!